4Department of chemistry, faculty of science Ain sham university. 5Analysis and Evaluation Department,Egyptian Petroleum research institute,Cairo,Egypt. 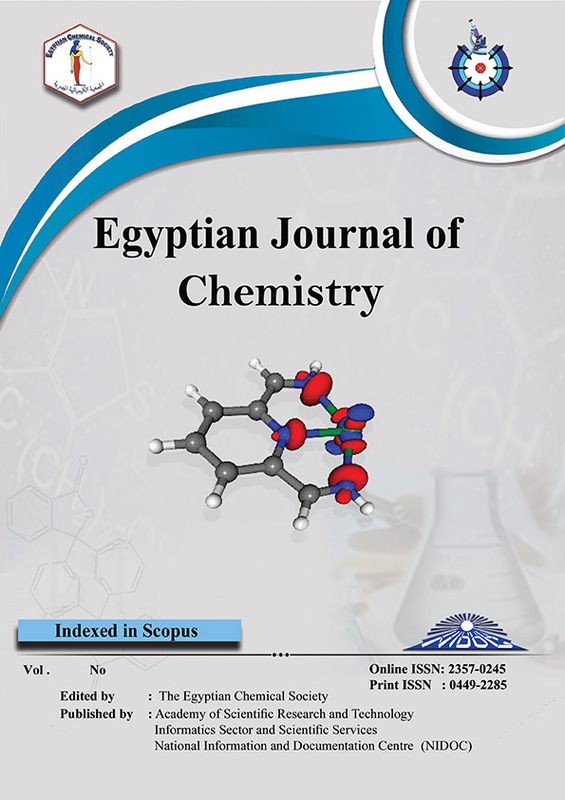 In this work, 5 Thiazolidinone derivatives of the type 5-benzylidene -2-(1-piperidinyl)-4-oxo-1,3-thiazolidine (101), 5-(4-butoxybenzylidene)-2-(1-piperidinyl)-4-oxo-1,3-thiazolidine (102), 5-(4-hexyloxybenzylidene)-2-(1-piperidinyl)-4-oxo-1,3-thiazolidine (103), 5-(4-octyloxybenzylidene)-2-(1-piperidinyl)-4-oxo-1,3-thiazolidine (104) and 5-(4-decyloxybenzylidene)-2-(1-piperidinyl)-4-oxo-1,3-thiazolidine (105) are synthesized and characterized using conventional tools analyses. They are tested as antioxidants for local base stock and the efficiency of these compounds, as antioxidants, was monitored through studying the change in total acid number and viscosity, the results reveal that the efficiency order is ranked as follows 105> 104> 103> 102> 101. The quantum chemical parameters such as the lowest unoccupied molecular orbital (LUMO), the highest occupied molecular orbital (HOMO) energy levels and the energy gap (EHOMO-ELUMO) were calculated. The experimental results were on the same line with the quantum chemical calculations.